touristic site with some history. Here visitors are able to connect with the sacred life of an active orthodox monastery, and this connection, in fact, begins already at the planning stage of the trip. People rarely think about how their trip is being organized. 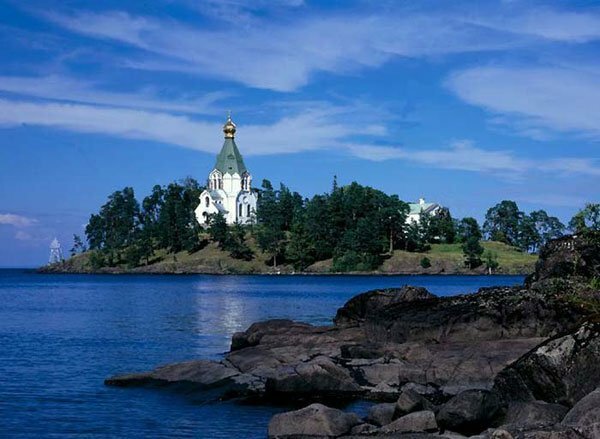 In fact, each cruise to the Valaam island is not being done without the supervision of a Valaam Monastery Pilgrimage Service. The Pilgrimage service manages the arrivals of all groups from pilgrims and locals to foreign tourists to the island. The essence of this activity is to continue the missionary traditions of the Old Valaam Monastery. Such activity requires enormous amount of work and competence, especially when navigation starts (which takes place in May and lasts till October). During these months, when Monastery is becoming open to the world, the Pilgrimage service staff grow in number up to 250 people. Among them are managers, secretaries, guides etc. In order to sustain the stable connection Monastery has own ships to transport all willing to come, also they work along with over 30 different pilgrimage services, 80 travel agencies and 26 cruise companies. They keep four offices two in the cities of Moscow and St. Petersburg and two on the island itself. From the moment of creation of the Pilgrimage Service of the Valaam Island, the main focus was to gather under one roof those people who are not only professionals in their expertise area, but also are true christians and believers, for whom Valaam Monastery is not only a work place, but also a place of worshipping. For example tour-guide who meet you on the Island, have to go through the special training and pass the exams before they are able to lead their first groups. Such attention to the christian traditions and true passion for God, helps visitors to really feel the spirit of the place and to "look deeper into their own souls and touch the shrine of the northen land".